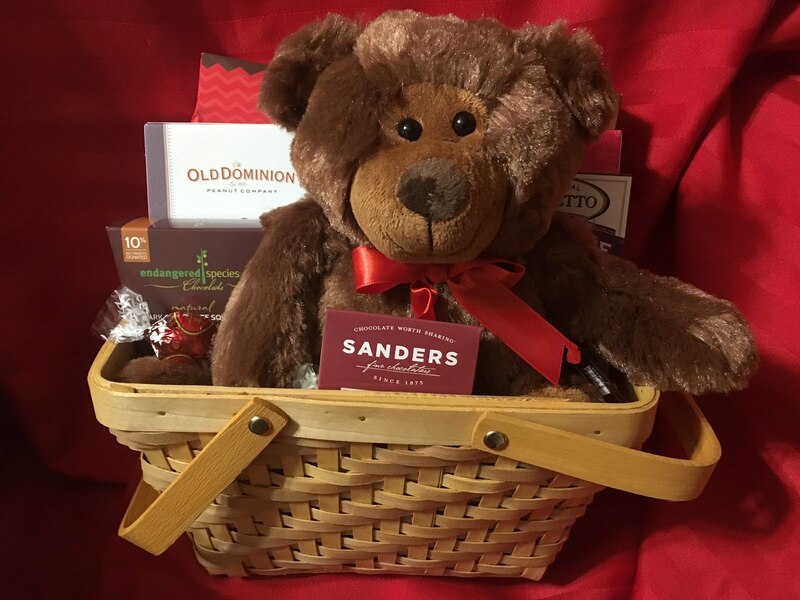 The clock's ticking away, but there's still time to get an order in for a special gift for that special someone. Got a guy on your list who is hard to buy for? 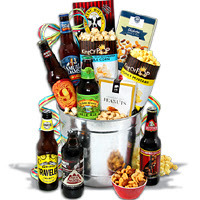 GourmetGiftBaskets.com has a number of beer buckets featuring craft beers or beers around the world. They also come with snacks that are a nice complimentary addition - things like sausage and cheese and crackers and popcorn. My husband greatly enjoyed the Winter Seasonal Beer Bucket that I received from the company. The beer baskets actually come in a stainless steel bucket that you can use down the road for chilling your favorite beers. 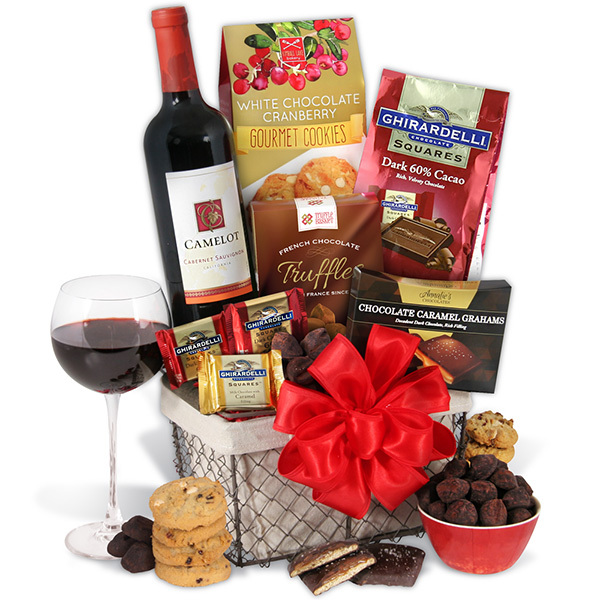 Or for the wine lovers, there are baskets that have wine with well-paired snacks like chocolates and truffles. Whatever your love enjoys, you'll find something for them. There are, of course, chocolate towers and Valentine baskets that are full of chocolates. 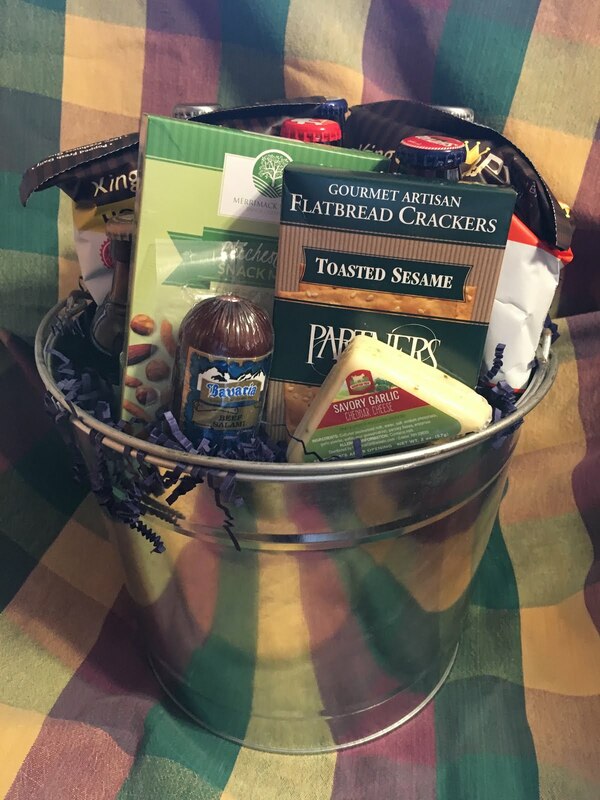 However, you'll find baskets with cookies or coffee or fruit or breakfast mixes. You'll find baskets/packages with fun themes - bbq, football, Italian, tea, champagne. There are care packages specifically designed to go specifically to a college student or someone in the military. Steak gift boxes can also be sent through the website. You'll find cheesecakes, giant cookies and almost anything you can think of that could possibly be covered chocolat.e Gluten-free options are also available. If you haven't checked out GourmetGiftBaskets.com, you'll be surprised at all they offer. Also, at the time this posted a 10% offer was available using the code: HEARTS. Not sure how long its valid, so hurry up and take advantage of it and get that unforgettable gift on its way to your Valentine! ***I did receive product samples for the purpose of a review. I was not compensated for this post. All opinions are my own. Nice Gifts baskets of your website,itsmuseful for everyone who need best gifts hampers of occations.